Kingfisher wins multiple Literacy Awards! Kingfisher Primary has a whole-school focus on reading and has recently not only won the Kent Literacy Award for Best New Library in Medway but also the award for Buster’s Book Club Ambassador of the Year, that went to Paul White the school’s literacy leader. 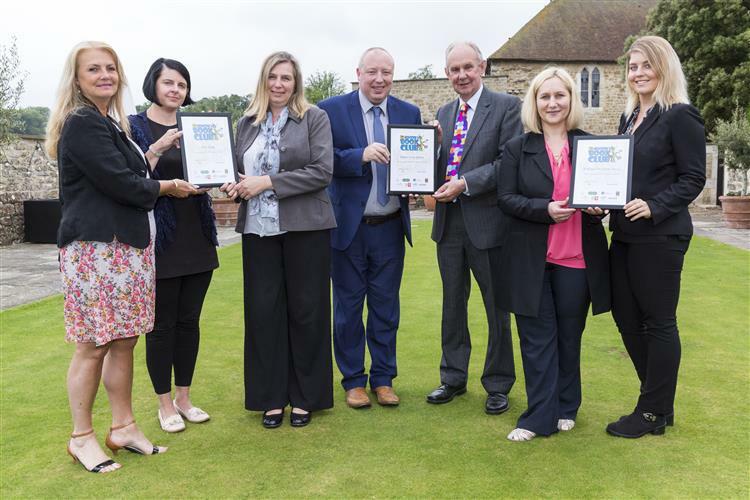 The Kent Messenger’s Charity Team hosted the certificate presentations for the Literacy Awards at Hempstead House in Sittingbourne and the Book Club Awards at Leeds Castle in Maidstone. The money for Kingfisher’s new library was generated by fundraising carried out by the school’s parent-teacher association, children chose all the books through its pupil parliament, and Year 5 pupils are the librarians. The library has a safe space for children to use for reading during lunch and break times. And to sustain pupil interest, the school is working with the local public library to have book deliveries to match particular topics. Parents have even started borrowing books on their library cards. The library has succeeded in achieving the school’s aim of creating a buzz around reading, with children talking about and recommending their favourite books to each other and teachers. And there has been a measurable improvement in reading performance, with the number of children meeting age-related expectations rising from 67% to 82% over two terms, and some of the most regular visitors to the library being Year 5 and 6 boys. The Kent Literacy Awards has been a great recognition of their efforts and achievements and boosted the confidence of the whole school. To see a video from the awards evening hosted by the KM Charity Team, with guest speaker Terry Waite, please watch here and click here to download a copy of the programme. 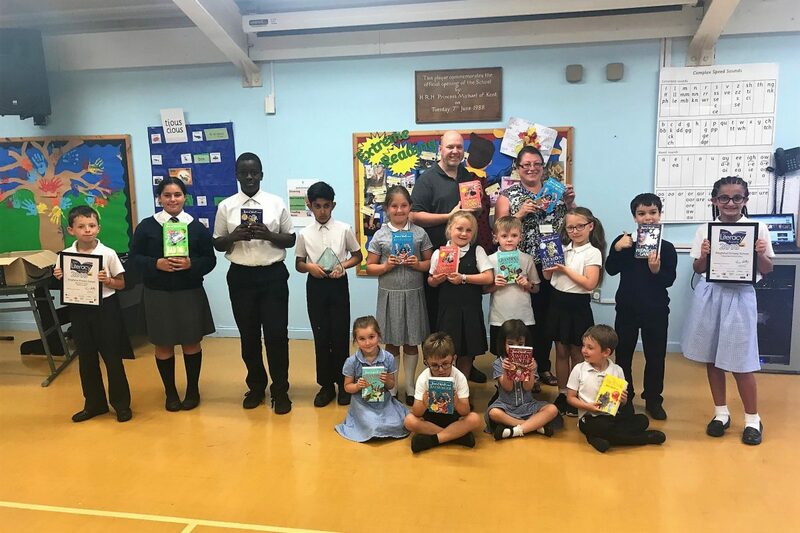 Kingfisher Primary only joined Buster’s Book Club this year yet Mr White has succeeded in getting the whole school community involved in the scheme – with even kitchen, office, and caretaker staff taking part. Buster’s Book Club encourages children to read extra at home, with classes competing each week to be awarded the reading class of the week trophy. A monthly inter-school reading challenge awards winning classes tickets to leisure attractions or visits by storytellers.